Personal finances are one of the most damaging strikes against employees seeking security clearance. 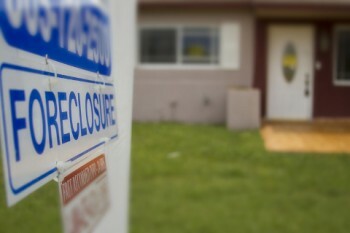 Foreclosure shouldn’t affect your security clearance. The cause of debt is generally more important than the amount of debt because it reveals more about a person’s reliability, trustworthiness, and judgment. About 50% of people who seek credit counseling have debts that arise from irresponsible or reckless behavior. Cases like these magnify the problem because behaviors are difficult to change. But when debt occurred because of situations beyond the applicant’s control (serious illness, loss of employment or layoffs) and the applicant is handling the debt in a reasonable manner—including bankruptcy or debt consolidation—investigators are less likely to view debt as a serious behavioral problem. Investigators look at how debt happened and what is being done to resolve it. What Debt Issues do Security Investigators Examine? Security clearance investigators want to see how employees with debt have responded to resolving it. The words “bankruptcy” and “credit counseling” do not appear anywhere in the Adjudicative Guidelines investigators use. Both can be considered positive efforts to get one’s finances under control. Most important is the underlying reason for the bankruptcy or credit counseling. Arizona has an anti-deficiency law that can protect citizens whose homes have been foreclosed upon from losing their security clearance. This law often (but not always) prevents a lender from collecting on debt or seeking a deficiency judgement caused by a property foreclosure. Major changes in the law effective January 2015 give lenders 90 days in some cases to recover a deficiency. In this case, there no longer is a debt and an employee can argue that his/her security risk is considerably less if investigators uncover the loss. I provide advice and guidance for people whose debt situation may impact their security clearance. In addition to my knowledge of security laws, I am also an expert on Arizona real estate law. As you know, real estate in Arizona is still recovering following its “burst,” the recession, and the state’s struggle to recover well-paying jobs. If debt is compromising your security clearance and ability to maintain employment, contact my office for a consultation. Are Anti-Deficiency Judgments Coming Back?